The next EQ Project File I’m sharing is a very simple quilt I drew up for my mom. She had just finished Mickey’s quilt and was looking for something to work on, something quick and NOT BLACK. Sewing on black fabric makes it very difficult for her to see. I showed her a picture of this design and explained how easy it was to sew, and she decided this would be a good palate cleansing project. Here’s an alternate colorway that completely changes the look of the quilt. If this pattern interests you, it’s a very simple project. 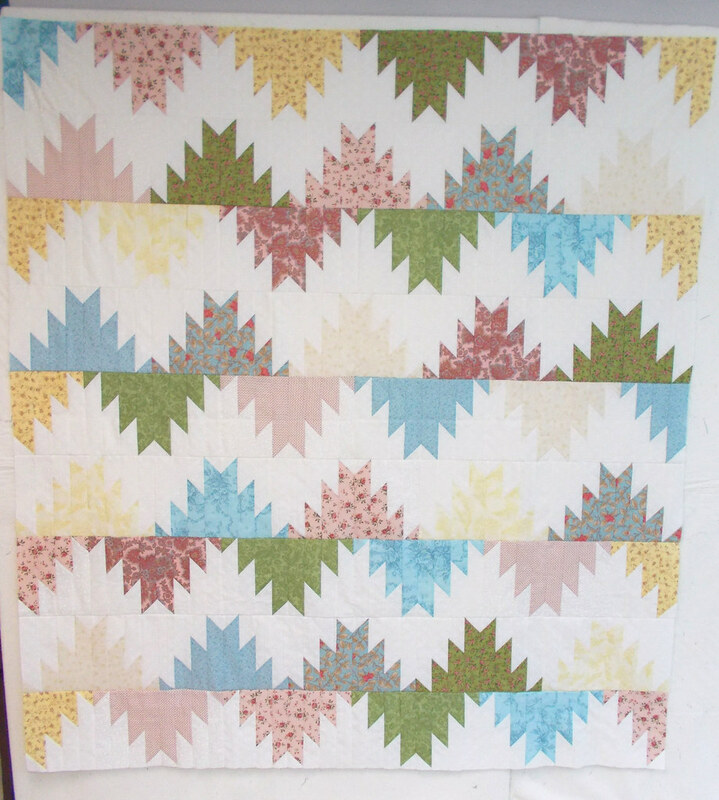 You sew half square triangles out of 9″ – 10″ squares (9″ doesn’t give you much room for error, 10″ works if you have a layer cake, or cut any size in between), trim to 8″, cut the HST into four 2″ strips, then reverse the order of the strips and sew back together. Easy as that!